إن فندق Trinity Hotel بموقعه الممتاز في هذه المنطقة السياحية هو نقطة انطلاق جيدة لنزهاتك في هذه المدينة المذهلة. يمكن من هنا للضيوف الاستمتاع بسهولة الوصول إلى كل ما تقدمه هذه المدينة النابضة بالحياة. يضفي محيط الفندق اللطيف وقربه من أكثر المعالم السياحية جذبًا سحرًا خاصًا على هذا الفندق. يقدم Trinity Hotel خدمات لا غبار عليها وكل أشكال اللياقة وحسن الضيافة اللازمة لإسعاد ضيوفه. يقدم الفندق فرصة للاستمتاع بشريحة واسعة من الخدمات بما فيها: خدمة الغرف على مدار الساعة, واي فاي مجاني في جميع الغرف, خدمة التنظيف يوميًا, مجهز لذوي الإحتياجات الخاصة, مكتب الاستقبال على مدار الساعة . تعكس غرف الفندق البالغ عددها 60 المنتشرة في 6 طوابق جواً من الدفء والألفة.خدمات عصرية مثل تلفزيون بشاشة مسطحة, سجاد, اتصال لاسلكي بالإنترنت, غرف لغير المدخنين, تدفئة موجودة في بعض الغرف المختارة. يقدم الفندق مجموعة رائعة من الخدمات كمثل مركز للياقة البدنية، لجعل إقامتك تجربة لا تنسى. إن كنت تتطلع إلى إقامة مريحة وهادئة في المدينة، فستجد في Trinity Hotel بيتك الثاني. سيُطبق رسم إضافي بقيمة 5.1% على جميع معاملات البطاقة الائتمانية. إذا أردت تجنب الرسوم الإضافية، يمكنك استخدام CASH أو EFTPOS في الدفع (شاملة ضريبة السلع والخدمات GST). يفتح "ذا أربوريست روف توب بار آند إيتري" من الساعة 8:00 صباحًا في أيام عطلات نهاية الأسبوع (أيام السبت والأحد). Stayed here for a day during my weekend trip to Wellington, a few months back and had a pleasant stay overall. Though I got there before the check-in time, the front desk executive was understanding of my situation and provided me a room which was being cleaned by housekeeping. They did a $10 charge on my credit card during check-in which was eventually reversed during check-out. The housekeeping staff were very polite and did a good job of getting the room ready. There was no air-con in the room but they provided a fan which seemed sufficient. The area around the hotel seemed safe at night. The positives of this hotel are its location and proximity to restaurants. On the whole, this property exceeded my expectations and is suitable for those looking for a stay at a central location in Wellington. I've stayed here a number of times while on business and have always found it to be comfy and quiet. The roof bar is great and the food in the restaurant downstairs was delicious. Additionally, across the road is a great cafe called Goldmine (which is a LOT less noisy and less hipster than the Hanger Cafe which is also close by). Loved the location and proximity to University, the school halls and Te Aro area. However, the downside to the location is noise from revellers late at night until the early hours of the morning. The hotel can do with some double glazed windows to alleviate the street sounds. But if you have come to enjoy the city, all that sound is just part of the novelty. The location of the hotel and the staff was friendly. Decor is close to the pictures shown, but if you are staying at level 6 then you might be hearing loud music at the bar also located on the same level. Walls are thin and not sound proof, so you can feel slight vibrations of the music as well. Any movement from the other rooms is also very clear and if you are a light sleeper, then this might impact your rest. I feedback the loud noise to the reception, which he tried to help but the hotel was fully booked and i wasn't able to change rooms. He did provide me ear plugs and asked the people at the bar to lower down the volume, but i think that's about the most he can do. 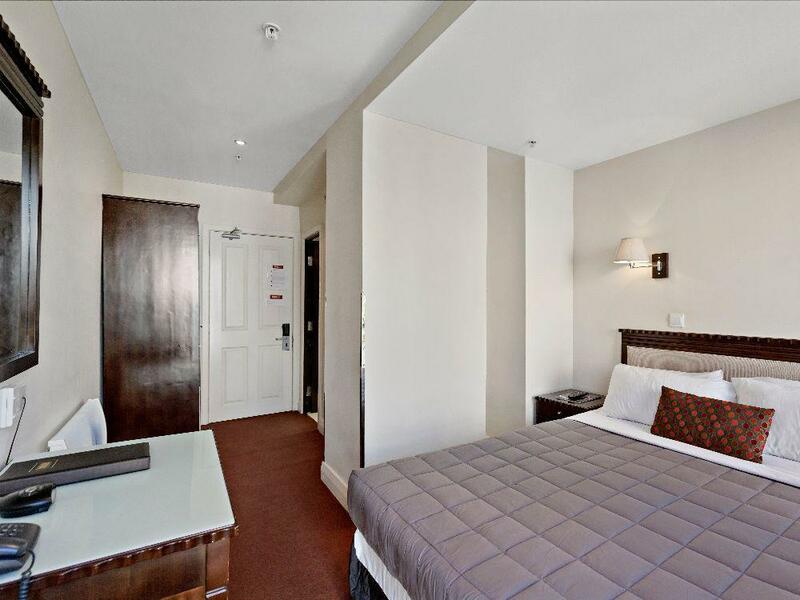 The location of the hotel is within walking distance to most attractions, especially to cuba street. The staff was friendly and the room was of a decent size for my wife and I. Room was a little noisy at night due to traffic on the road but overall a decent stay. One of the best value for money hotels in this wonderful city. Clean comfortable and well located for everything from shopping to dining and from bar hopping to just relaxing this has it all. Good cable TV channels comfy beds string hot shower and tea/ coffee making in room. Highly recommended. The hotel is in town close to the waterfront and ferry terminal. Most of the attractions are a walking distance from the hotel. The plus point for this hotel is its location. Parking is limited and requires an advanced booking for NZD$15 a day. The location is top notch. The staff were friendly and helpful and the room was smart and clean. The welcome drink was a very nice opening touch. (review guidelines won't open!) i arrived late in the afternoon and discovered that i needed to have requested parking, although i don't recall seeing any chance to do this on the website. the lady behind the desk was very helpful re unloading my bags and then telling me where i could park safely for free in a nearby street. i found the restaurant convenient and offering a good variety of quality food, served with a smile and pleasant chat. i managed to get a parking space for the final night, which was helpful when packing the car and it is raining outside! we stopped off here on our way home - exhausted and really needing some rest. the location is super convenient, very easy to find since we were traveling at night. the lady at the front desk was very friendly, she switched our suite to a first floor room when i mentioned my mother walks with a cane. the room was one of the cleanest i've stayed in, they did a great job. the free breakfast is great, quite a variety, even eggs, bacon and sausage. 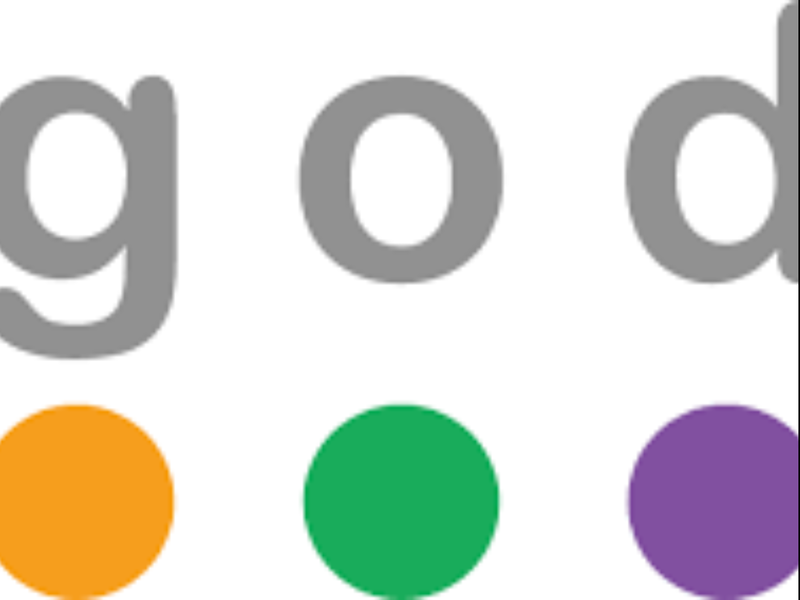 pleasant experience here from start to finish - would definitely recommend. 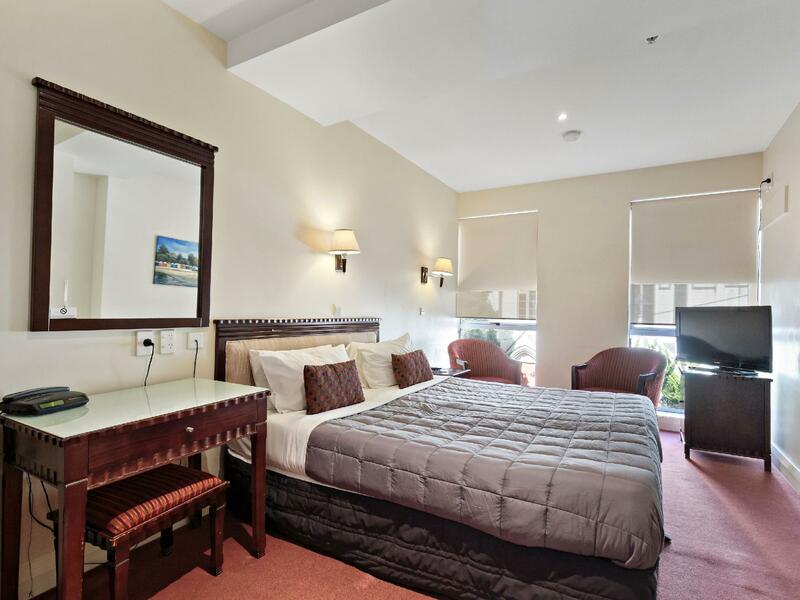 The hotel was very convenient because of loacation that`s why very easy access to shopping centre and restaurants. I enjoyed coffee and free juice(coupon for the guest) with my friend in the hotel restaurant. The room was very tidy and clean with heaters for the cold and rainy night that i stayed on 18/aug in Wellington. I would like to recommend this hotel if you stayed in Wellington. I stayed 4 nights in June 2011 for per night and I cannot find any con. The rooms had been refurbished with a new bathroom. There was an odd smell in the bathroom and the hotel immediately insisted I change rooms. 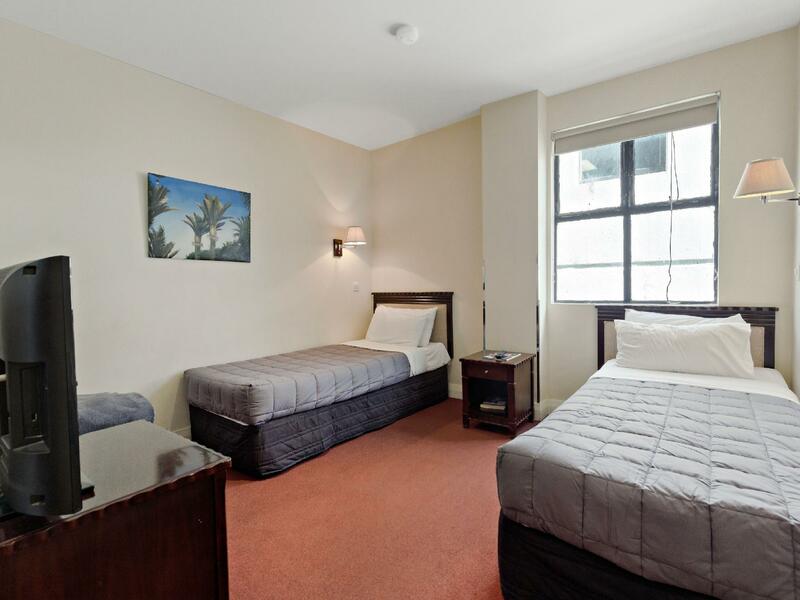 The hotel is near Cuba Street and Manners Street so is ideally situated for restaurants, etc. Te Papa, theatres and various exhibitions are are only a 10 minute walk away too - but then Wellington is set out very well for pedestrians. good location, very small rooms and a bit dirty. Electric blanket needed needed to be removed to sleep because it was too small and there was a hard box thing that dug in to shoulders when trying to sleep. Overall pretty average stay for the price. Room was spacious and had good facilities e.g. washer/dryer that was handy after a couple of days hiking. Almost no street noise, though room was adjacent to lift and this could be heard at the few times it was moving. Very convenient access to the motorway, also only a short walk to the waterfront and the range of restaurants and bars there. 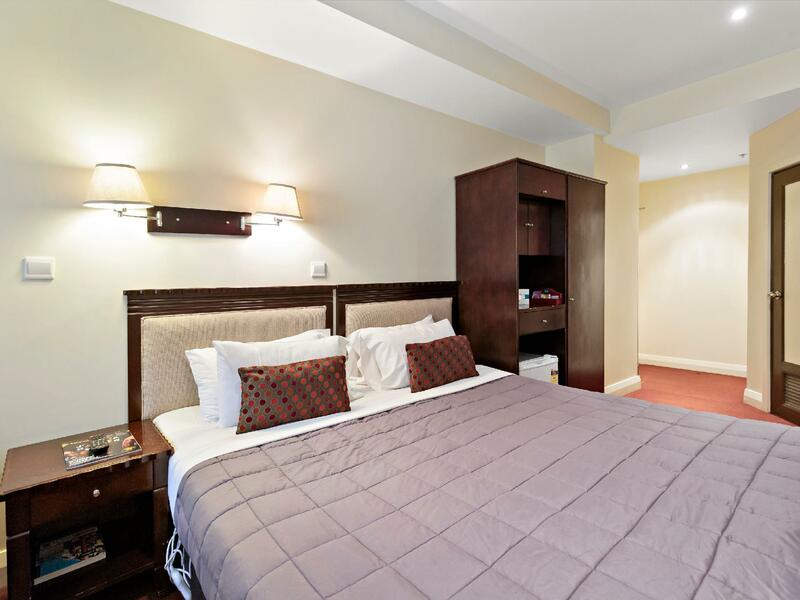 If you are here for the city, then this hotel is located in the heart of the city with restaurants, groceries, bars, bus stops at your doorstep. the beds are siappointing, old beds, i got bitten by somthing, no air con, but atleast wellington weather is usually cool anyway. carpet was old, walls were too thin, however, the bathroom was actually quite nice. Staff was also very friendly and helpful. Great location and does have ggreat rooms. Good value for money. Daily cleaning of room and change of towels. Friendly staff and convenient location. Parking too expensive, at $25 per car per day. Room facing main road, noisy after midnight. We stayed at a family room for 3 nights. 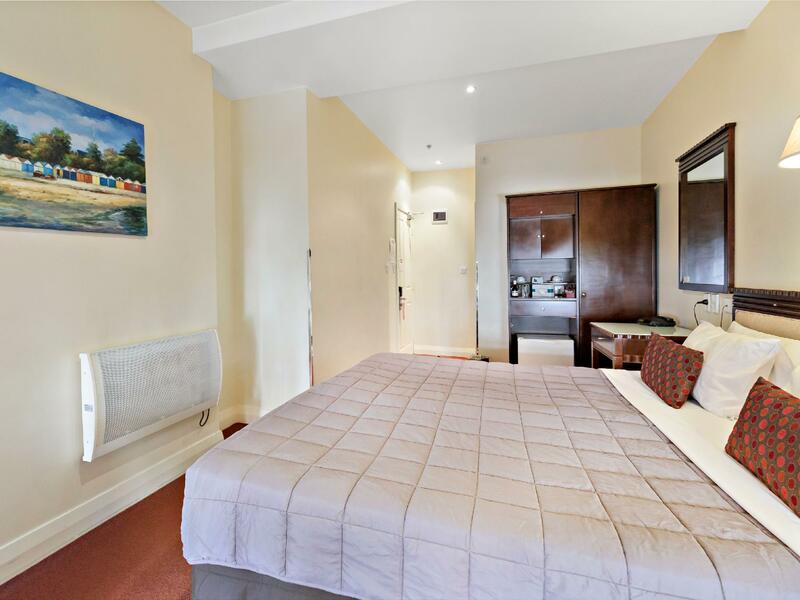 Location is right on Willis street and close to the city's major attractions. The room is not spacious but decent. If you are looking for a mid-range, value for money option, then this is the right one.